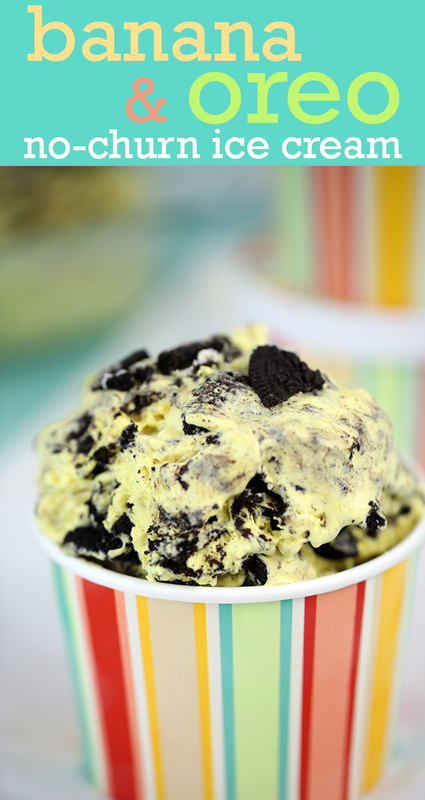 No Churn Minion Ice Cream Recipe (Banana & Oreo)! Today’s no-churn Minion ice cream is inspired by simply the coolest & cutest recipe idea that I’ve stumbled on. Perhaps you’ve seen it on Pinterest yourself? It’s this Cookie Monster No-Churn Ice Cream. Isn’t it flippin’ awesome?? I just knew that it was totally necessary to give this recipe a try in general. I’ve made no-churn ice cream in the past and really loved it. But, I hadn’t made any with heavy cream. Oh boy peeps, it’s SO worth it. If you’re a Despicable Me movie fan, I am sure you are excited about the new movie coming out in July, “Minions“. 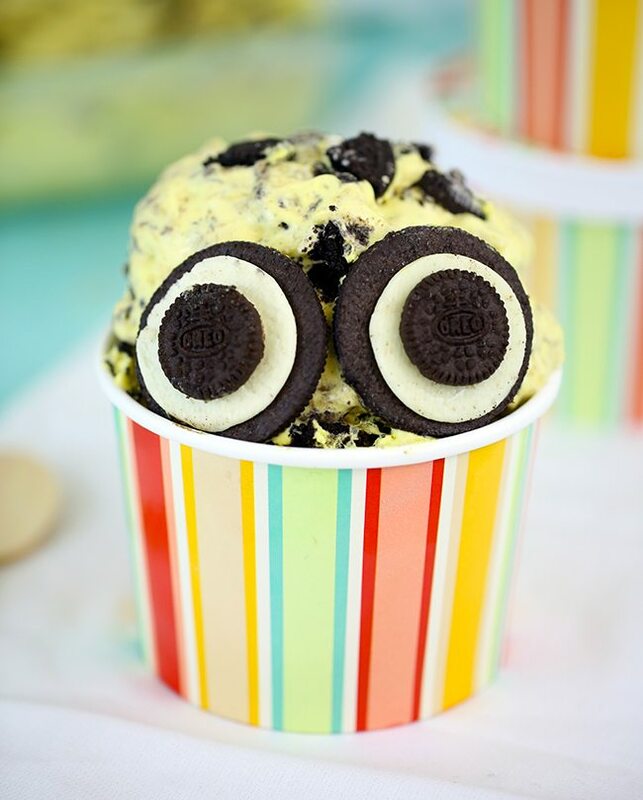 I thought it would be totally fitting to turn the Cookie Monster ice cream into “Minion” Ice Cream. Adding banana was a total no-brainer. To make Minion “eyes”, I wanted to use regular sized Oreos and Oreo Minis. That’s where this scrummy Banana Oreo combination came to life. 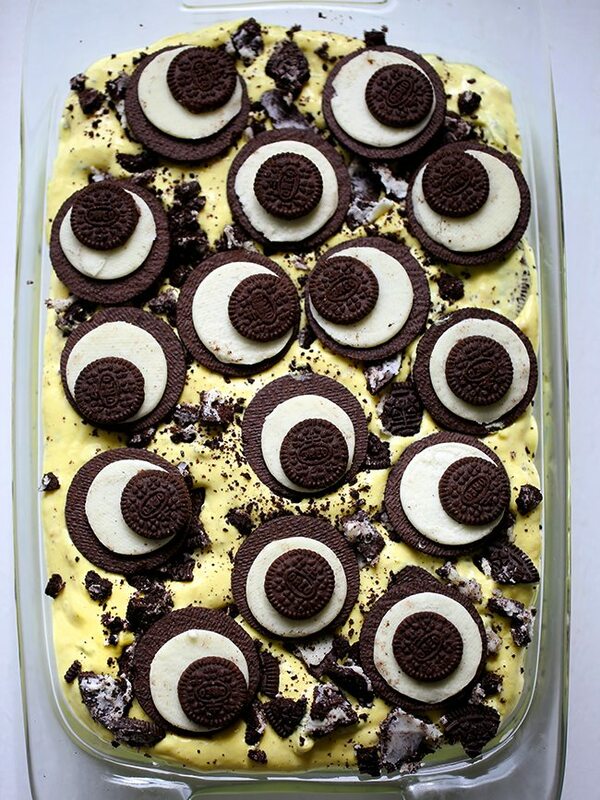 To make the Minion eyes to top the ice cream off with, I used 15 regular Oreo cookies and 15 Oreo mini cookies. I separated each cookie placing them in seperate piles. One pile with the cream side and one with just the cookie side. For each “eye”, I used the cream filled side of the regular sized oreo and the plain cookie side of the Oreo mini cookies for the pupil. The remaining cookies halves will go into the ice cream batter. Nom. As an extra note, make sure to use perfectly ripened bananas for this. Under or overripe could potentially ruin the flavor! We wouldn’t want that! I hope you enjoy this scrumptious and playful no churn ice cream treat! Take 15 of regular sized Oreos and 15 Oreo Mini cookies and seperate into halves. For each "eye", used the cream filled side of the regular sized Oreo and the plain cookie side of the Oreo mini cookie for the pupil. Take the remaining cookies halves and crush them. Set aside. In a high powered mixer, blend the heavy cream and vanilla extract until it forms stiff peaks. Fold in the sweetened condensed milk and add yellow food coloring until fully blended and perfect desired yellow color is desired. Stir in crushed cookie halves and mashed bananas. Pour into a freezer friendly container. Crush the remaining 5 full sized Oreos and sprinkle evenly over the top of the batter. Lastly, place the "Minion eyes" evenly on top and press in gently. Cover and freeze for at least 5 hours or overnight. Enjoy! 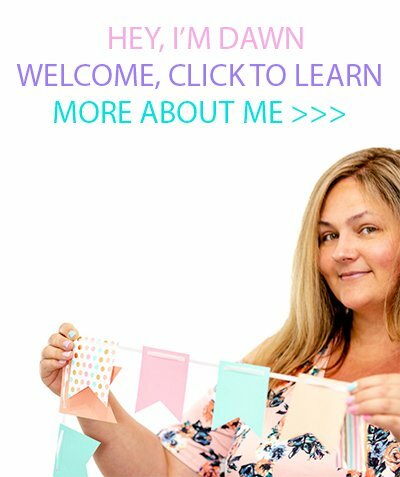 DIY Jewelry Organizer by How Was Your Day? Wow, this looks so good and adorable! No churn ice cream has always been awesome and somehow it is now more awesome! Thank you for linking up with us at the #HomeMattersParty this week. Hope to see you again Friday! What a fun idea! My little guy loves minions. He calls them Ba-ba's because he only knows them from the ba-na-na video. He would love this! This looks so delicious and simple to make. I will have to make some this weekend for my kids. I am sure it will be a big hit. Oh my! That is the most delicious and easy to make ice cream! My nephew is a Despicable me Fan too! No churn ice cream... well sign me up. This looks so very cute, and delicious. 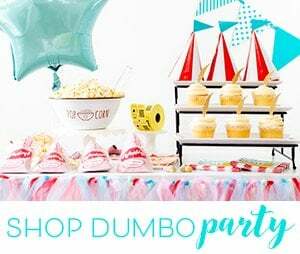 I would love to make this for my daughters birthday party! This looks so fun! We're definitely Despicable Me and minion fans here so this is great for hot summer days. Um, you made enough of this to share with me, right? I love making no churn ice cream! This is the cutest idea ever, both of my grandchildren love Minions and would love this. This is the cutest thing! We LOVE minions at our house and have a Minion party coming up. This will be PERFECT! I can't wait to see my kids reaction when they see this. Oh, that's so cool! I hope it goes over big time! That is the cutest thing yet. My husband LOVES the Minions and I bet he'd get a kick out of this. The only thing better than ice cream is ice cream with a theme. That's what I always say, anyway. Get out! This is the cutest thing I have ever seen, my friend. LOL! It looks so darn good, too. You know me and my ice cream. YUM!!! !